An old and deteriorated car is never worth holding onto unless it has some emotional connection. It not only occupies your valuable space in garage or yard but also becomes a white elephant that eats up more money in the form of maintenance, care, and wash than its actual worth. 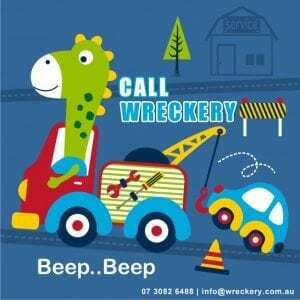 Don’t wait anymore; contact the best car removal company – Wreckery. Fastest Car Removals With Immediate Cash For Your Car In Brisbane Regions Today! It is easy to find us when you search for free car removal near me. At Wreckery, we not only buy all sorts of vehicles but also offer free car removal to all our clients. So, when you sell your unwanted car to us, you not only get rid of it and free up space but also it is the best way of Getting Cash for Car Removal. If you were ever stuck with an unwanted car, you would know why car removals are essential. Below are some of the reasons given to throw some light on the necessity of unwanted vehicle removal. -Broken cars are ugly and take up space – A broken car is not worth maintaining, and therefore they turn into sore sight. Who likes to look at the derelict vehicle every time one steps out of the house? Also, a car needs lots of space, and if you don’t remove the unwanted car, you end up occupying valuable space for the useless vehicle. -Broken cars are an environmental hazard – Broken car usually means a faulty part/battery or a flat tyre. It renders vehicle useless and needs external support to tow it away. Whatever the reason a car with defective part generates lots of poisonous gas making them an environmental hazard. Why hold onto vehicles that break down often? Contact our car scrap yard Brisbane and get car removal service from us. -Broken cars are dangerous for humans – Driving a vehicle with faulty part or a possible flat tyre is a terrible thing to do. Such cars lose control and if you are driving when your car breaks down chances of you meeting with an accident are very high. Why risk your safety? 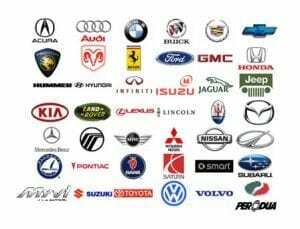 Contact us for car disposal Qld. From so many options of car removals Brisbane, why choose Our Car Removals Service? We have been part of the automobile industry for many years and therefore have the necessary experience along with the expertise to deal with any car-related situations. That ensures that you get the right guidance with accurate diagnostic of your vehicle. Our staff consists of professionals and experts in the field of car removals. Thus we offer professional and efficient services every time. We pay top cash when we pick up used cars for money. You can do your research, and we assure you that you will not find a better cash payer than us for car pick up Brisbane. We also offer many value added services such as free car pick up, free online quote and free paperwork completion to ensure the fast and smooth end of the deal. 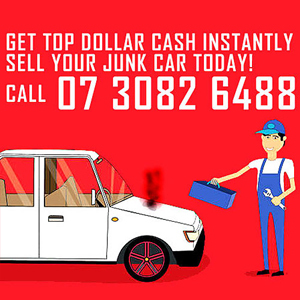 Call us now and experience the smoothest cash car removal services in the area. Ours is a user-friendly car removal program. We list down the step that ensures that our Car Removal Program Works hassle-free every time. Get QUOTE – When you decide to sell your vehicle for cash, contact us to get a quote from us by providing vehicle details such as the make, the model and the year of car manufacturing. Accept OFFER – After the physical inspection, we make the final offer. If you accept our offer, we fix up the date and time for scrap car towing. FREE Towing – After completing the paperwork and on the decided day we come to your place for free towing of your unwanted car. Get CASH – And on the same day when we tow your car, you get cash as per the agreement. Thus, you get rid of the car and make money from the scrap on the same day! So, why wait any longer? Call us now for car removals for cash. So whatever model you have, feel free to contact us. Remove personal belongings – Many a time our vehicle holds essential documents, personal items such as bands and music CDs and phone holder/charger and the like. Before contacting the junkyard, clear out all the things from every corner of your car. Clean the vehicle – If your car is not a scrap, there is no excuse for selling it without proper cleaning. Clean and wash your vehicle to make it presentable. Trust us, little in the way of clean up will earn you more money for the unwanted car. Keep necessary documents and information ready – Keep all the vehicle-related documents ready. That helps in ascertaining its correct value and also ensures that no laws are broken while dealing with an unregistered vehicle. Always work with licensed Business and registered car removals company rather than risk your vehicle with unauthentic buyers.